Having trouble getting your business website at the top of the SERPs? Maybe it’s because you’re doing too much sales talk and not giving enough information to your visitors. Although it is absolutely normal for you to put a lot of effort in generating sales, you must remember the SEO benefits that sharing information — particularly in the form of blogging — can contribute to your page rank. As we all know, Google uses an algorithm that determines the ‘freshness’ of content before it displays them on the SERPs. By blogging, you can take advantage of this system to nail that ‘freshness’ benefit for your business website. Blogging allows you to publish new and updated content that will benefit from ‘freshness’ for a couple of weeks. Relevant content is the thing that search engines want most. 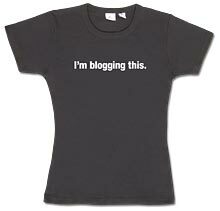 Blogging allows you to cover a wide variety of topics that are relevant to your niche. You can publish instructional videos, quote and comment on news posts, tell stories of goings-on inside your business, and pretty much any other content that you think will help your audience with their needs. As you cover your niche from every angle, your business’ website will naturally appear on different keywords’ SERPs, which can dramatically increase your organic traffic. Link building is one of the key areas that you need to have full control of order to achieve success on your SEO campaign. Blog posts can provide quality backlinks by attracting social media shares and other ‘baited’ links. Furthermore, every time you publish a new post on your blog, your readers will have the opportunity to share it on their personal social media profiles if they find it interesting or useful –generating more link juice for you. Search engines consider every indexed blog post as one page. Although having more indexed pages does not necessarily mean better SERP rankings, more indexed pages with relevant keywords means more ways for your customers to find you via Google. Your content is your secret weapon in the field of SEO. Having high quality content on your business’ website — and especially on its blog — will increase your visibility on search engines in a variety of ways. With better visibility on SERPs, your organic traffic will increase, which means more chances to convert visitors into customers. All for the low, low price of putting together a simple blog and posting interesting, relevant content on it regularly for a decent length of time.